Is there any pain associated with CoolSculpting®? No! This treatment is completely non-invasive. The first 5-7 minutes of the procedure can be uncomfortable due to the cold plates. However, after this, you become numb and feel absolutely nothing during treatment. We provide amenities such as TV and Netflix/Hulu to keep you comfortable during the treatment. Time flies when you’re freezing fat! The earliest that possible results can be seen is 3 weeks. However, keep in mind every “body” is different and some may see results up to 3 months after the procedure. This depends on your body and how quickly it eliminates the dead fat cells the full process takes up to 6 months with a re-treatment. Is this harmful to my organs? No, this procedure is very very very safe! Only the subcutaneous fat and skin are placed into the applicator and we have a protective layer gel pad that is placed to protect your skin from any irritation or frostbite. Your organs are not affected by this treatment there is a large amount of space that protects your body internally. The cost of this procedure is based on how many areas that need treatment to reach the best results and to meet your goals and expectations. So we offer a free consult to go over all the areas that can be treated and give you a 360 evaluation with our consultant on the areas that would be best to be treated to reach optimum results. This takes about 30 minutes of your time and is completely free. We also go over pricing during this consult to give you the total pricing of all the areas after discussing a treatment plan. CoolSculpting is not a weight loss solution for people who are obese or a substitute for surgical methods such as liposuction. Good candidates have noticeable bulges in certain areas they’d like to get rid of. Your doctor will determine if treatment is right for you during a one-on-one consultation. During your consultation, your doctor will discuss how much time should be allotted based on your individual treatment plan. A typical treatment lasts about 35 minutes. You and your clinician first select the area(s) to be treated. Your clinician will position the device on your body. The device will then draw the bulge up between two cooling panels. The sensation is a firm pull to ensure the selected tissue will be cooled most efficiently. Do I need to take special supplements or follow a strict diet or exercise program? The affected fat cells from your CoolSculpting® treatments eliminated. As long as you maintain your weight with your normal diet and exercise, your long-term results should remain stable. Typically, each CoolSculpting treatment results in a noticeable reduction of fat in the treated area. After the initial treatment is complete, you can attain further reductions with additional treatments, resulting in more, fat loss. 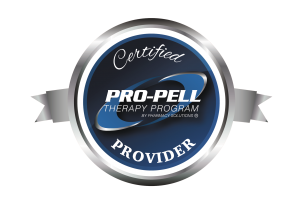 Some patients find that just one treatment fully addresses their goals. You and your doctor will discuss and design a customized treatment plan that suits you best.